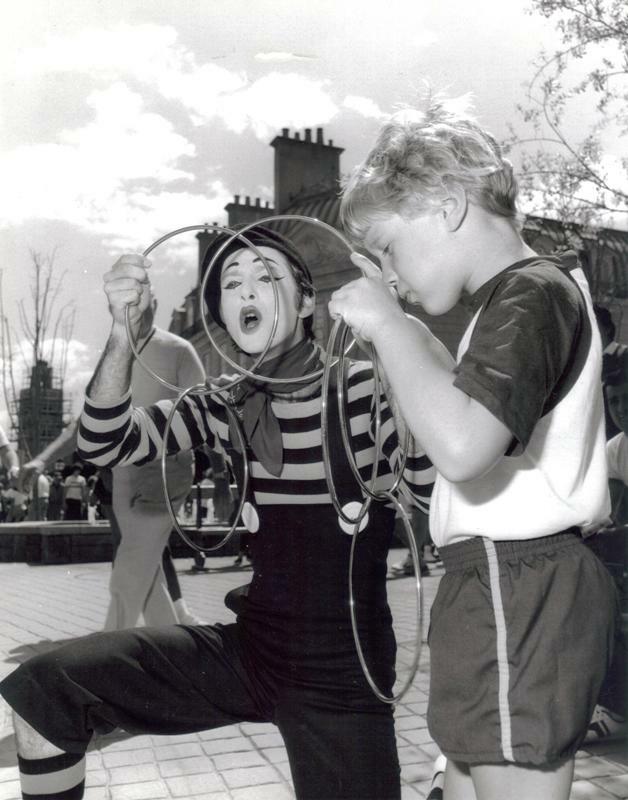 MIME MAGIC – French mime share some of his World Showcase magic with a young Epcot Center visitor. Other entertaining personalities in the Walt Disney World showplace include the Japanese candyman, the Chinese Lion, Dreamfinder and Figment, and IB4E the Robot. That is all well and good. EPCOT Center’s entertainment and guest interfaces were second to none for the better part of the park’s first two decades. However, that isn’t the exciting part of this photograph, the real treasure of this photograph hides in the background. Can you see it? Right beyond the Parisian skyline? While it appears to be slightly fuzzy in the distance, the background of this press photo presents the Morocco pavilion during its construction phase. The pavilion was not an opening day attraction in EPCOT Center, instead opening in September of 1984. While it would not be the last of the pavilions to come to World Showcase, and here’s hoping we still haven’t seen the end of expansion, it would be constructed in conjunction with Moroccan artisans known as maalems. This crossover construction not only leant further authenticity to the Morocco pavilion, but it also assured King Hassan II the his country would be properly represented. The tower swathed in scaffolding is a replica of the Koutoubia minaret found in the city of Marrakesh. The original minaret was built in the 12th century during the Almohades dynasty. Please tell me that you are the kid, not the mime, LOL! Sadly, I'm not either of the people in the photograph! ha ha This is one of those vintage press photos I've come across.